To understand strabismus surgery, we first need to understand how the muscles in our eyes work. In the previous article on strabismus, I had mentioned that each of our eyes is surrounded by 6 extraocular muscles. These eye muscles are attached to the sclera (wall of the eye) and control our eye movement. For the eye to be properly aligned, the strength of each muscle has to be balanced. For the eye to be properly aligned, the strength of each muscle has to be balanced. If one muscle is too strong or too weak, it may cause the eye to turn in, turn out or rotate too high or low. The surgery is a one day outpatient basis procedure. The surgery itself takes 20 to 40 minutes. For most cases, the operation is performed in the operating room, with general or local anesthesia. To prevent eyelid movement, the eyelids are held open by a small instrument called a lid speculum. After anesthesia is administered, the surgeon will create incisions in the conjunctiva (a thin layer of transparent tissue covering the eye muscles) and uses delicate tool to isolate the muscle. Contradictory to belief, the eyeball is not removed from the eye socket during the surgery. Surgeon may consider either the recession or resection approach depending on the cause of strabismus. Recession is used when the affected eye muscle is too strong. The recession approach weakens the relative eye muscle by altering the attachment site on the eyeball. In the procedure, the affected extraocular muscle is detached from the eyeball and reattached further back from the front of the eye to weaken the strength of the muscle. A suture is placed through the muscle to hold the muscle in place at the attachment site to the eye. It is also possible that that your surgeon use recession procedure to reduce strength of the opposing muscle if the affected eye muscle is too weak. Resection strengthens the function of an eye muscle by removing a portion of it before attaching it back to the original insertion site. 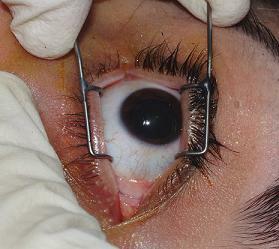 In the procedure, a suture is placed through the weaker eye muscle at the intended new attachment site. Then the surgeon will proceed to attach the muscle back to the eye after the segment of muscle between the suture and the eyeball is removed. This surgery is generally more suitable for adults. It works best for someone whose strabismus develops in adulthood after previously normal eye alignment. A standard strabismus surgery involves the muscle being sewed (using suture) to the wall of the eye after the necessary modification is made. 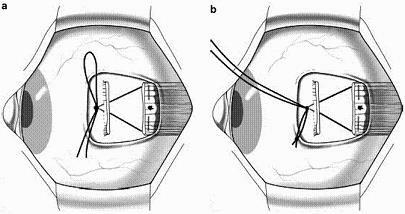 Suture that is used to hold the eye and eye muscle together is normally not adjustable (permanent knot). In contrast, adjustable suture approach utilizes a bow-knot or slip-knot (temporary knot) instead. After surgery the eye alignment can be altered by adjusting the temporary knot to improve your final outcome. The adjustment is typically done while awake and the operated eye is numbed. After the surgery there are some things to expect. Firstly, possible vomiting due to the side effect of the anesthesia. It is also normal for patient to notice that their operated eye becomes red after the surgery. This condition is likely to last for 2 or 3 weeks before the redness disappear. They are likely to feel some sort of soreness in their operated eye upon movement. The skin area around the eye may become swollen too. The soreness usually improves after a few days. A few days after the surgery, you should be able to notice a change in the eye position, however, more permanent results may not be known until four to six weeks after surgery. As with all kind of surgeries, strabismus surgery carries risks. 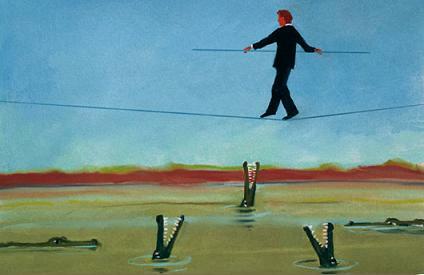 Especially when you are dealing with something that is as delicate and sophisticated as eye. The main risks of such surgery are undercorrection and overcorrection. As strabismus surgery involves detaches, cuts and reattaches eye muscles, sometimes the eye muscles are not adequately reattached during the surgery. This may cause the muscles to detach and slip. There are many possible ways to damage the eye during the surgery. Documented problems include damages to the sclera, blood vessels in the eye, optic nerves and retina. All these may cause permanent blindness. Other risks include infection and bleeding. I'm not attempting to scare the hell out of you here. Strabismus surgery does have its merits and some people do benefited from it. My aim here is to help you make informed choices so that you won't regret in the future. I had shared several non-surgical method in my previous post on Strabismus. If they don't work for you or your child then consider going for the surgery.